Instagram is now allowing users to start a live video and then invite someone else to join in via camera. In the past it was only possible to go live on your own however the Facebook-owned app have now taken things a step further. “Starting today, we’re testing a fun way to go live with a friend. 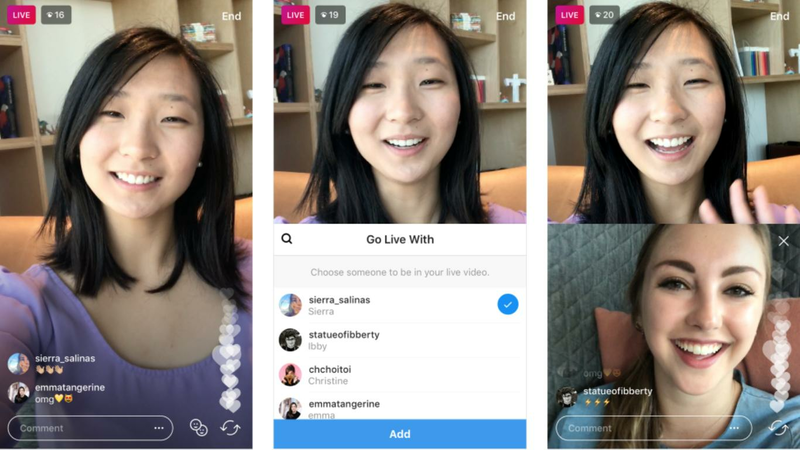 Now, you can hang out and go live together, whether you’re just doing homework or catching up on your day,” announced Instagram via blog post. Once the person has joined, the live video will split into two, showing you and your friend on the same screen. It’s possible to add and remove guests at any time or the guest can choose to leave on their own. You can then share the video to your Story or ‘Discard’ to delete the video completely. Instagram are currently testing the feature with a small selection of users, before rolling the feature out over the coming months.